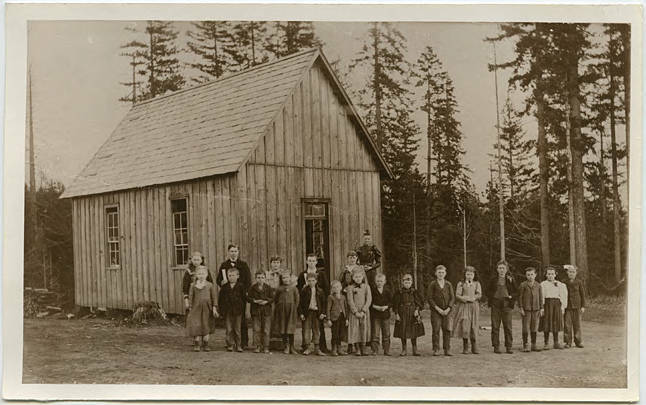 Black and white image of a group of children standing in a row outside their one-room school. Mason Hill is located northwest of the modern town of North Plains. The teacher stands behind the students, her hair's high tight bun and her puffed sleeves very typical of fashions of the early 1890s, though museum records date this photo to 1901. 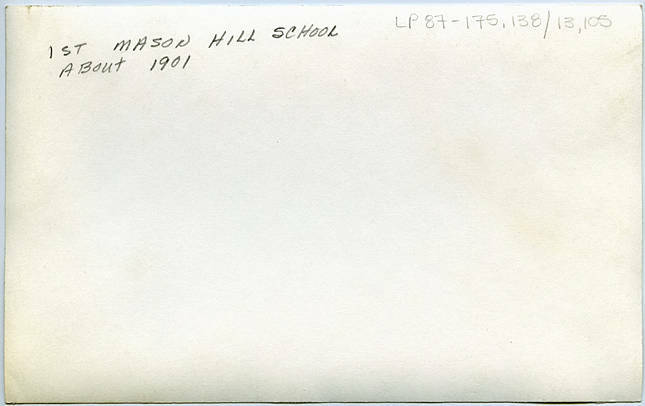 [back] [pencil] 1st Mason Hill School About 1901.